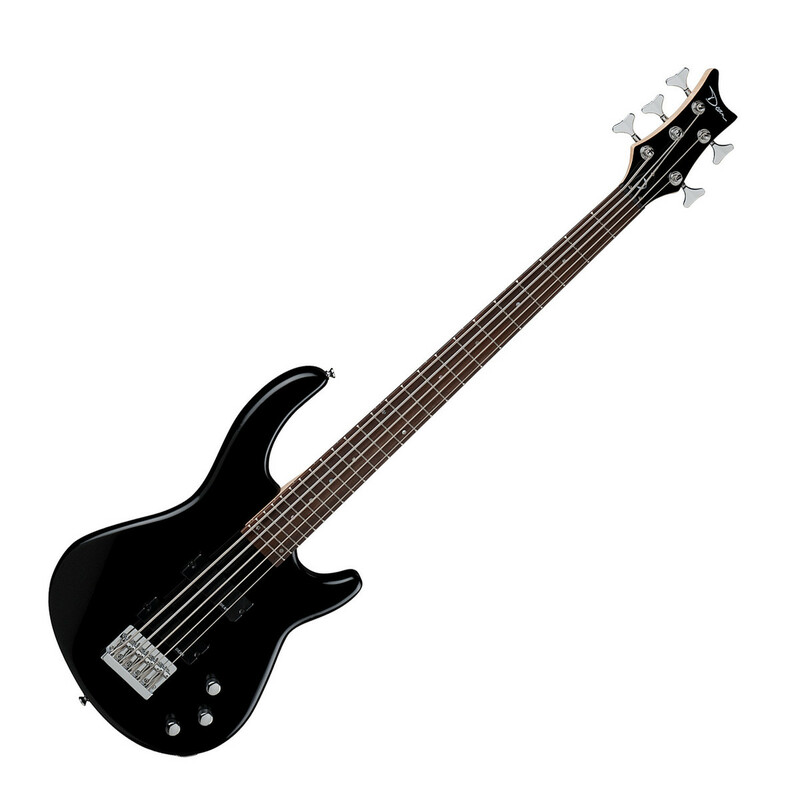 The Dean Edge 1 bass guitar is an affordable 5 string bass guitar which provides premium Dean tone and playability in a double cutaway design finished in a classic black lacquer. 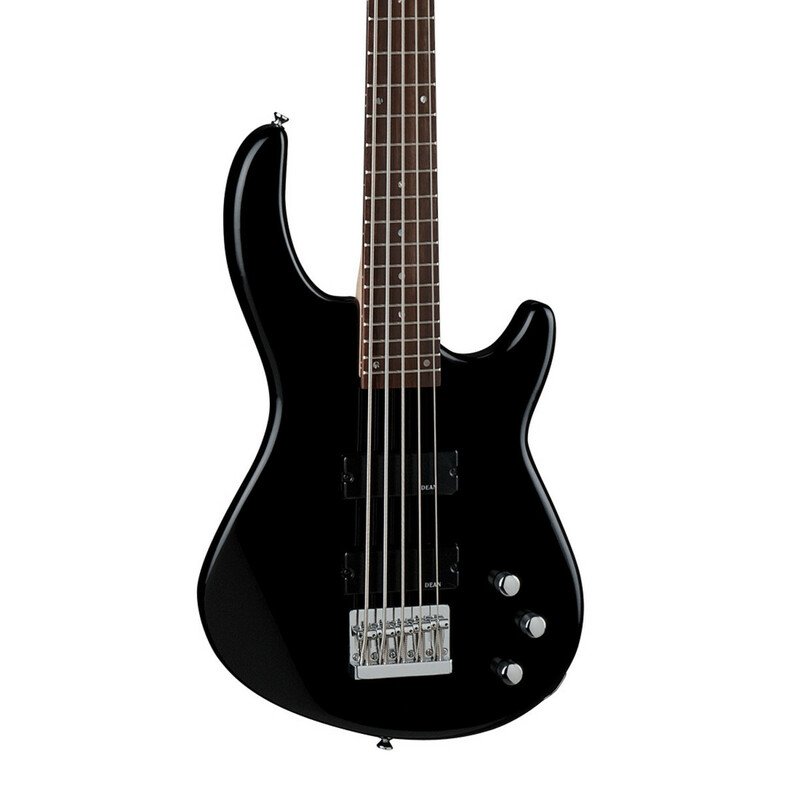 Featuring a Basswood body, Maple neck, 24 fret Walnut fingerboard, DMT Design Soapbar pickups and chrome hardware the Edge 1 is the perfect 5 string bass guitar for a range of music genres. 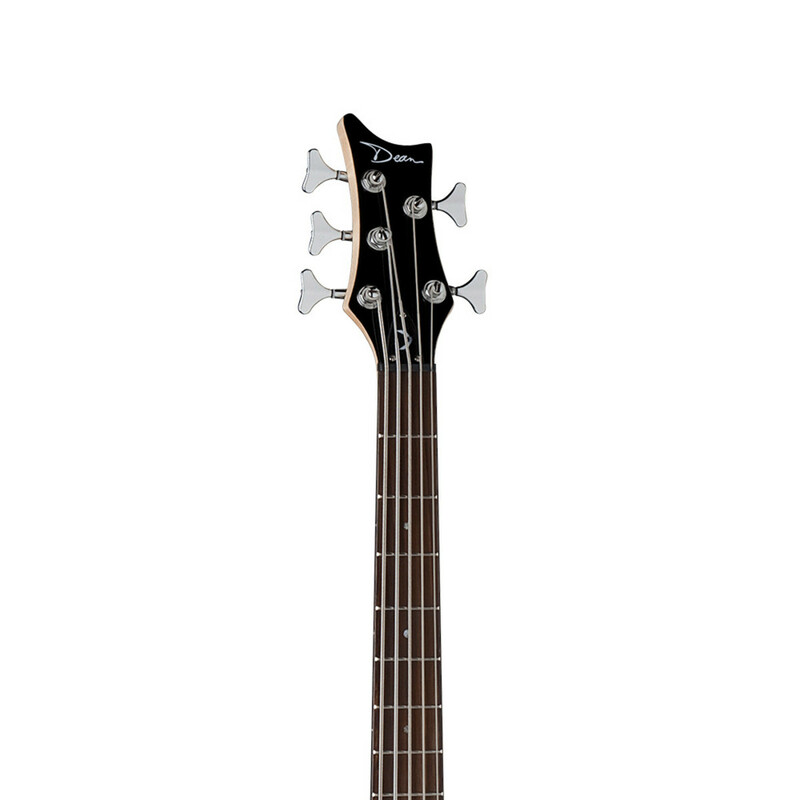 Dean's Edge Series of Bass Guitars, as expected, have a distinctive headstock and are an ideal bass guitar for the gigging musician or the keen learner. Packed with top grade components and bearing the distinguished Dean logo, the Edge Series Bass Guitar is the ideal way to "Get your Wings." Easily recommended for most types of music requiring a hard wearing and stylish instrument that can handle the rigours of the road. Established in 1976 in Illinois by Dean Zelinsky, the Dean Guitar Company fast became the "go to" manufacturer for hard wearing distinctive guitars. Now synonymous with the rock and metal genres, Dean Guitars have always maintained their position at the forefront of guitar design and technological advancement in the manufacture of quality instruments designed specifically for louder players.